As innovative companies push the boundaries of technology, they need lawyers who can apply today’s employment regulations to tomorrow’s business. 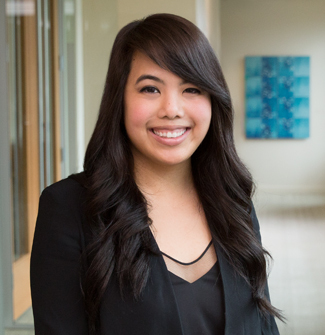 To help her clients stay ahead, Kristina Pham offers clarity and precise guidance. Kristina helps clients ranging from large retail companies to gig economy start-ups with wage and hour litigation and audits. She also represents employers in multi-plaintiff and single plaintiff lawsuits involving discrimination, harassment, and wrongful termination claims. For example, on behalf of Twitter, she successfully helped fight off class action claims alleging gender discrimination. Kristina also counsels clients on the latest employment developments, helping them remain in compliance so they can avoid litigation before it arises. As a member of the firm’s Alternative Workforce Task Force, and the Sexual Harassment Task Force, she can offer immediate guidance on these critical employment areas. In addition to her practice, Kristina uses her skills to enhance diversity and improve the community. She currently serves as Chair of the Silicon Valley Asian Pacific American Bar Association’s (SV-APABA) Scholarship Committee and member of the Diversity & Inclusion Committee. While at Berkeley Law, she participated in the Education, Defense and Justice for Youth Clinic, where she represented clients facing expulsion or incarceration. She also directed the Alternative Dispute Resolution team, and was instrumental in leading several Berkeley Law students to victories at the national level. Prior to law school, Kristina was a special education teacher in San Jose, CA.